Stress-free delivery to your driveway. Don’t live close? We deliver! Heller Ford takes the hassle out of vehicle buying. We’ll bring your new vehicle right to your driveway. We use multiple transport methods to ensure your vehicle arrives quickly and safely. 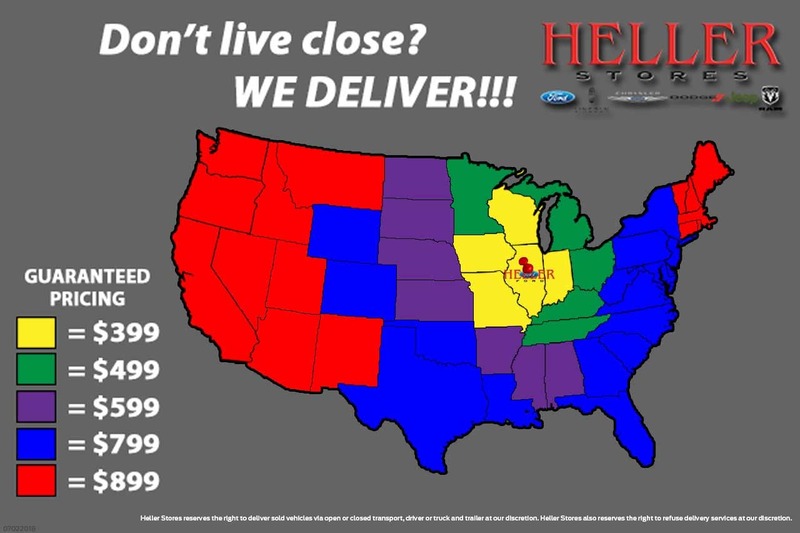 We deliver anywhere in the Continental U.S. Call 309-527-6050 for details. The Heller Stores reserve the right to deliver sold vehicles via open or closed transport, driver or truck and trailer at our discretion. The Heller Stores also reserves the right to refuse delivery services at our discretion.